Rise and shine! Greet the morning with our new 3 oz. 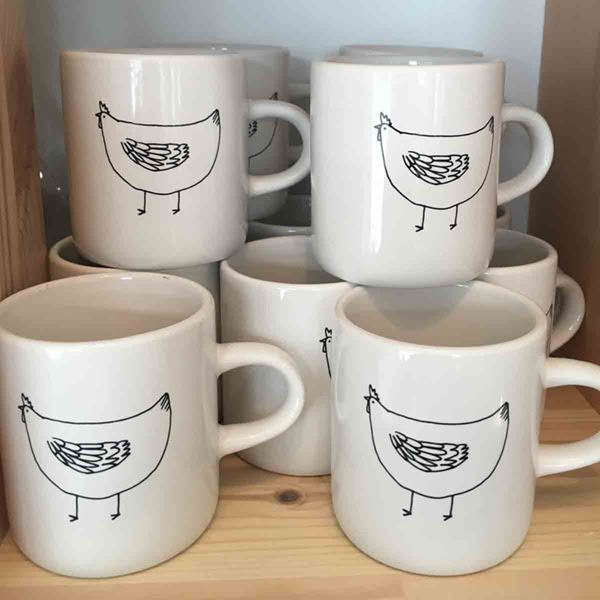 espresso cup featuring our HennyPenny chicken. Available in store or online. Did you know we have a delectable selection of baked goods you can order? Share 'em with pals or office buddies, or keep them all for yourself (we won't judge!). We've got kolaches, scones and vegan donuts by the dozen. Call us to place your order. Older PostCheck Out Our Bake Case!